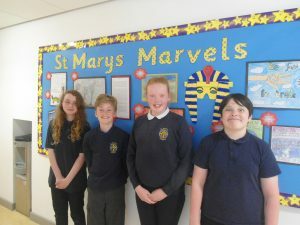 Once again the school has rewarded the deserving boys and girls of St. Marys with certificates based on effort and achievement within Reading, Writing, Maths and a Weekly Star. 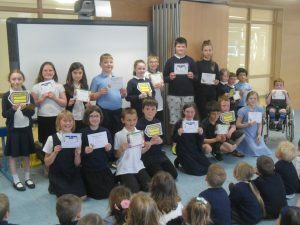 Who earned them this week? 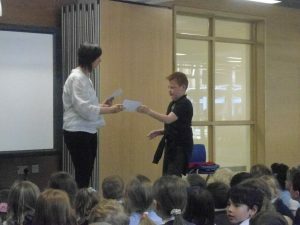 The certificates for our Good News Assembly were awarded by Mrs McHugh to the standout pupils of the last week. 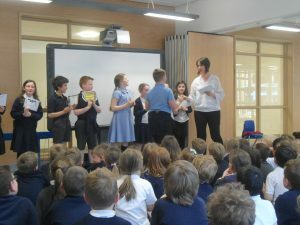 Here are some pictures of the boys and girls getting their awards in front of the rest of the school! 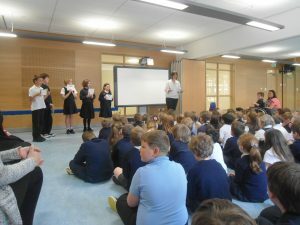 The Good News Assembly is also a fantastic chance to share achievement within the school from the boys and girls themselves. 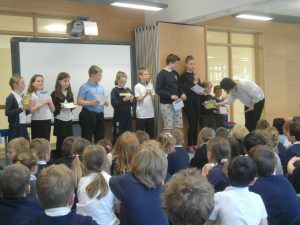 This week the rest of the school heard how the P7s had a transition event in Knox Academy and that 4 of our pupils were secretly chosen as being the ‘Best Teammate’ or have the ‘Best Attitude’. 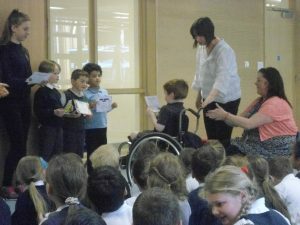 Well done to Calum, Cameron, Caitlin and Niamh H on winning their medals and making our school proud!